Stifter af Lundsgaard & Partnere, Søren Lundsgaard, er en af de mest efterspurgte procesadvokater i Danmark. Søren Lundsgaard har mange års erfaring med at føre retssager i sagskomplekser af høj kompleksitet inden for mangeartede sagsområder, herunder advokatansvar, revisoransvar, bestyrelsesansvar m.m. Søren Lundsgaard er en ofte anvendt voldgiftsdommer. Søren Lundsgaard is a renowned litigator with expertise in professional liability cases. A client enthuses: "What I liked was that he spent a lot of time making sure that he understood the case and all its nuances. He was very focused on the details and he challenged us a lot early on, which proved to be time really well spent - he is extraordinarily diligent." Søren Lundsgaard is described as "dedicated, creative and impressive within dispute resolution”. Litigation boutique Lundsgaard & Partnere stands out for its experience in professional liability cases. Søren Lundsgaard is described as a "fantastic litigation lawyer and a man with a hawk's view of the structure of a case. He has great attention to detail which allows him to win cases". He is also referred to as a "leader in professional liability disputes". ""Very strong" litigation boutique Lundsgaard & Partnere specialises in professional indemnity and insurance disputes under the leadership of "very clever" Søren Lundsgaard." "Lundsgaard & Partnere "always provides sound advice" and covers a broad range of insurance matters. "Brilliant" practice head Søren Lundsgaard and Arianne Svardal-Stelmer have been defending a former boardmember in DKK 1 bn liability case before the District Court of Lyngby regarding the collapse of Amagerbanken." "Søren Lundsgaard is described as a "very pragmatic lawyer giving good advice", by clients, while sources confirm he is part of the "elite" when it comes to contentious work. He offers clients extensive experience across a diverse range of litigation in the areas of insurance, professional liability, and insolvency." Søren Lundsgaard er beskrevet som en "leading litigation Expert". "Led by the "dedicated and creative" Søren Lundsgaard, Lundsgaard & Partnere specialises in commercial litigation, as well as indemnity and insurance cases." "Lundsgaard & Partnere's group advises Danish and international clients on a wide range of insurance matters, including professional and D&O liability. Practice head Søren Lundsgaard has an "outstanding capability in dealing with very complex matters"." "Sources praise Søren Lundsgaard of Lundsgaard & Partnere for his ability to provide "Very good oversight of the whole matter, including the political aspects." Another interviewee comments: "He is pragmatic, gets to the point and is good at giving effective advice"." "Lundsgaard & Partnere has "deep knowledge" of commercial litigation and professional liability." 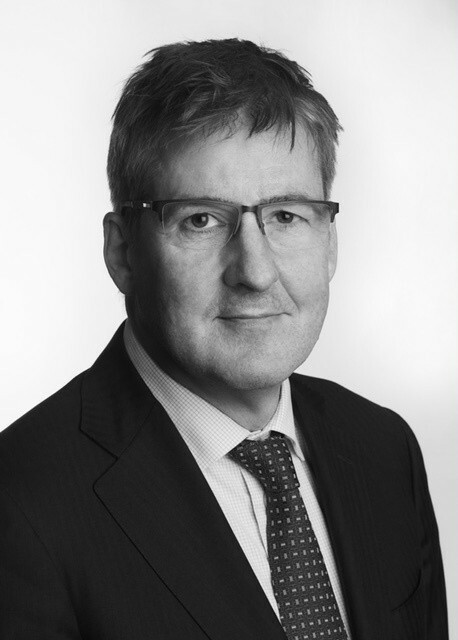 "Widely regarded as a premier litigator, he is praised by clients as "smart, knowledgeable and practical. He understood business considerations and has the capacity to handle complex matters."" "Søren Lundsgaard heads the business areas litigation and insurance and tort law and works primarily in these fields. He has extensive litigation experience and is among the most sought-after litigators for court proceedings, including Supreme Court. He also works extensively within arbitration including as a judge in arbitration cases and Head of Legal Inquiries." "Highly praised Søren Lundsgaard of Lundsgaard & Partnere is "dedicated, creative and always eager to move the case ahead and fulfill our objectives". Other sources note: "He is a heavyweight and knows what he is talking about." Commentators note his particular expertise in insurance matters, including professional indemnity." "Søren Lundsgaard of Lundsgaard & Partnere "was born to be a litigator," say sources, who are impressed by his timing and witness examinations. He is representing Fonden for bankTrellebord in a DKK 150 million class action. His main areas of expertise are insurance and professional liability."